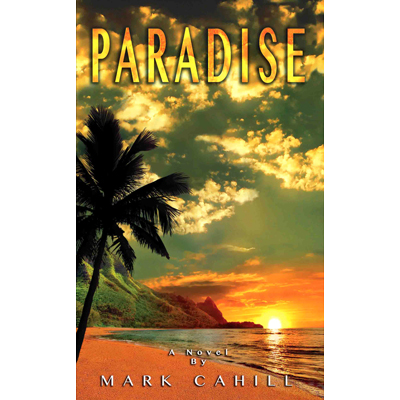 Paradise is my first novel, and it practically wrote itself! I thought, ‘Why not present solid, apologetic truths to the lost in story form?’ The ideas came flooding forward and the result is this book! Some people have even said it’s my best book yet! That is very humbling and exciting to hear. Praise the Lord! In this book, we take you on the journey of a man named “Josh” who is about to head off into eternity. The question is: Is he ready? This fast-paced adventure is loaded with the timeless truths that answer the pressing questions of our day. Topics such as creation versus evolution, is the Bible true, does God exist, angels and demons, did the resurrection really happen, and can we be good enough to go to heaven are covered with logic, clarity, and even a touch of humor. Suspense builds toward the critical moment of having to make a decision for Christ. Readers will become so involved in the story, they’ll wonder if Josh is making this decision or are they? Will he pick the right Paradise? Should they? Paradise is a great resource to give to your family, friends, coworkers, customers, and all those you want to reach for Christ. If you have given someone a copy of One Heartbeat Away, this will be a great follow-up book in their life. This novel conveys the urgency to reach everyone with eternal truths now. The world has questions, and we have the answers. The lost need to know truth, so they can choose Christ and the real Paradise before it’s too late. You’ll be thanking God and creating your own adventures of a lifetime as you do!